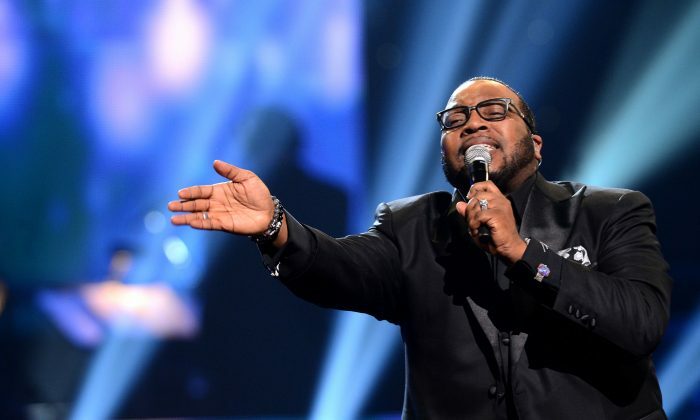 Marvin Sapp, the Gospel singer and preacher, is not a suspect in the disappearance of Teleka Patrick, which took place several months ago, but a viral rumor is saying otherwise as of Tuesday. However, it was determined several months ago that Sapp wasn’t a suspect, according to Michigan news website MLive.com. “He is nothing more than an innocent victim of stalking,” Kalamazoo County Sheriff Richard Fuller told MLive, referring to Sapp. “He is not a suspect,” Fuller added. Sapp, at the time, “fully cooperated” with the police investigation involving Patrick’s odd disappearance. But on Monday and Tuesday, users on Facebook and Twitter were saying that Sapp was a “suspect” in her disappearance, citing no sources. The messages appear to just to a viral rumor. She hasn’t been seen since Dec. 5 when she drove out of the parking lot of the Borgess Medical Center. Reports say that Patrick had an obsession with Sapp, and tweeted about him frequently. Sapp sought a personal protection order against her on Sept. 17. The report says that Patrick’s membership was revoked from Sapp’s church due to “inappropriate emails and pictures” that were sent to the pastor. A letter obtained by 7 News also says that Patrick showed up at Sapp’s home. There was also a YouTube video uploaded of her talking to an unknown love interest. Police have said they are investigating her tweets and YouTube videos. On Monday, private investigator Jim Carlin told WXYZ 7 Action News that the case is a strange one. “It’s just as if she vaporized,” Carlin said. “Something caused her to be in distress on that particular night,” he added. Carlin said that he thinks she’s still alive, adding that someone may have picked her up on I-94 while she was hitchhiking. “Maybe somebody stopped right away. She told them that she was running from somebody, people want to help others,” said Carlin. Last week, Patrick’s family urged the public in Michigan to wear red on the three-month anniversary of her disappearance, reported The Associated Press. Patrick was last seen trying to get a room at the Kalamazoo hotel, but she didn’t stay there. KALAMAZOO, Mich. (AP) — Relatives of a doctor missing from Kalamazoo are asking the public to wear red on the three-month anniversary of her disappearance. Teleka Patrick hasn’t been seen since Dec. 5. Her car was found in a ditch along Interstate 94 in Indiana, more than 100 miles away. The Kalamazoo Gazette (http://bit.ly/1oqtikE ) reports that a sister, Tenesha Patrick, is urging people to wear red Wednesday and pray for a breakthrough in the case. The 30-year-old Patrick was last seen trying to get a room at a Kalamazoo hotel. She didn’t stay there and got a ride back to her car at Borgess Medical Center. Patrick had been in Michigan since last summer when she started a medical residency at Borgess.